Designed by Jamie himself, the Jamie O’Brien Pro model is built for those looking to progress to advanced levels. Jamie’s deck is designed to be small and compact, giving a “loose” feel, which allows a rider to pump swiftly down the line, and perform snaps with speed and agility . Jamies board is good for more advanced maneuvers, like 360s, and more simple training aswell, like tight turn drills. SWELLTECH TRUCK SYSTEM: Introducing our new truck system for 2017! 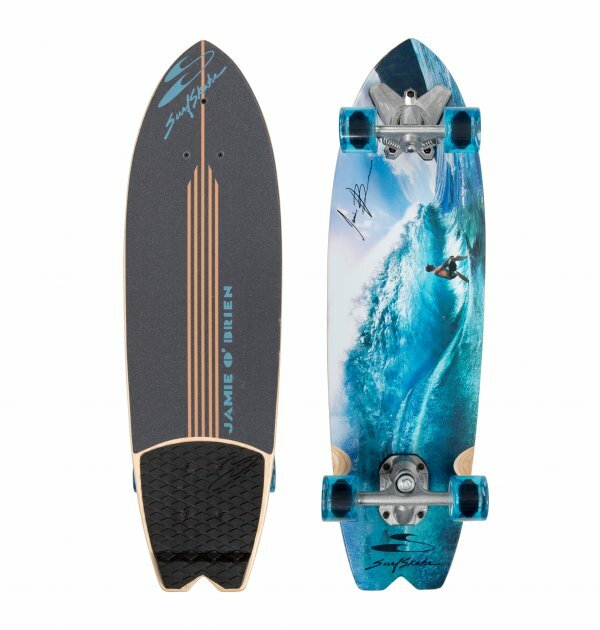 The SwellTech system is everything the V-Truck provided, and MORE. From deeper carves, to more resistance and stability through turns and combinations, our SwellTech system is our best yet ~ And the World’s! We recommend this board to riders 4’10’ to 5’10 or 149-170cm tall.